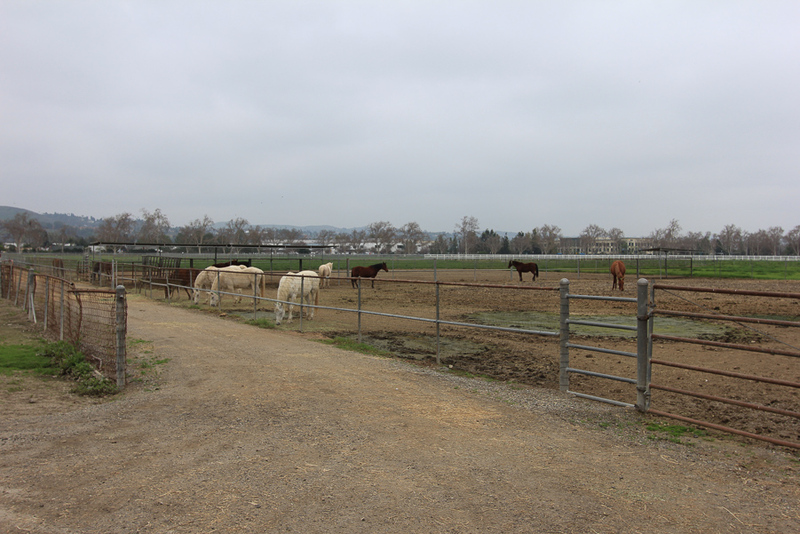 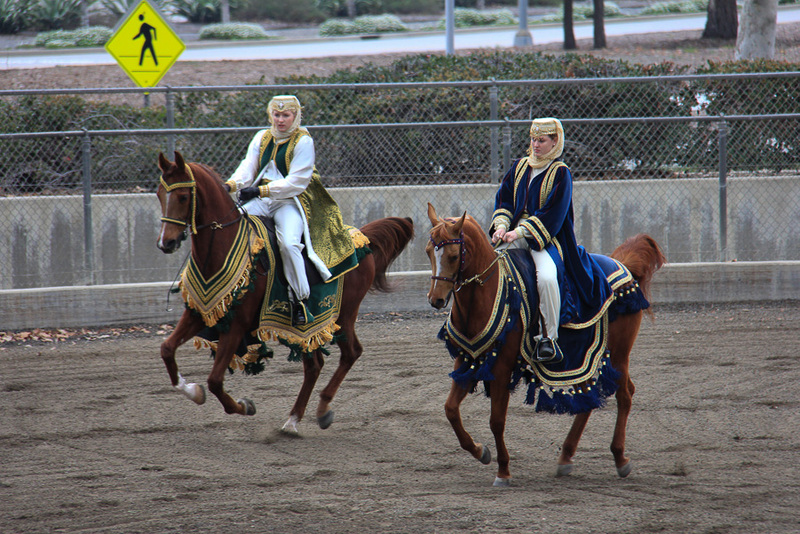 February 5, 2017 - Today we were on the campus of Cal Poly Pomona to visit the W. K. Kellogg Arabian Horse Center. 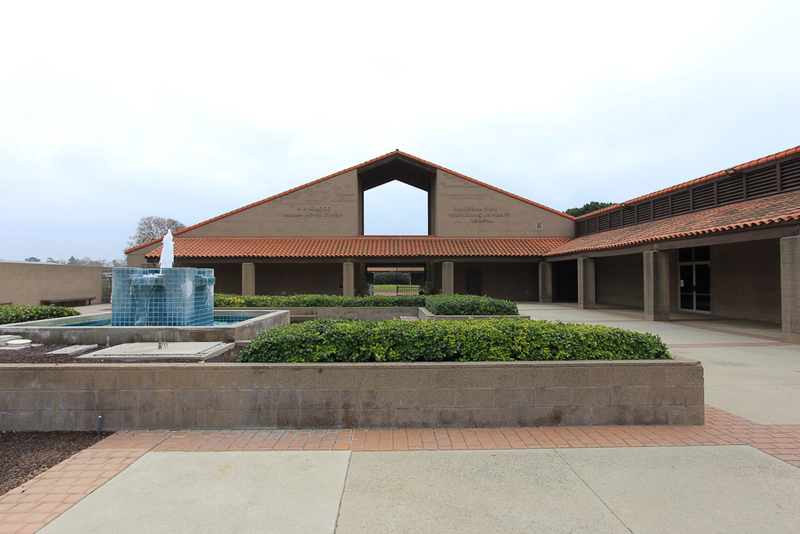 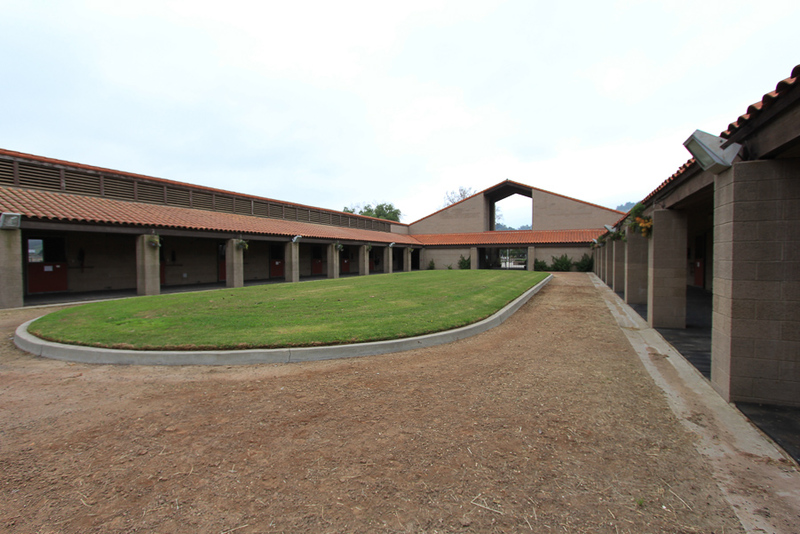 The W. K. Kellogg Arabian Horse Center was established in 1925 by the cereal magnate Will Keith Kellogg of Battle Creek, Michigan. 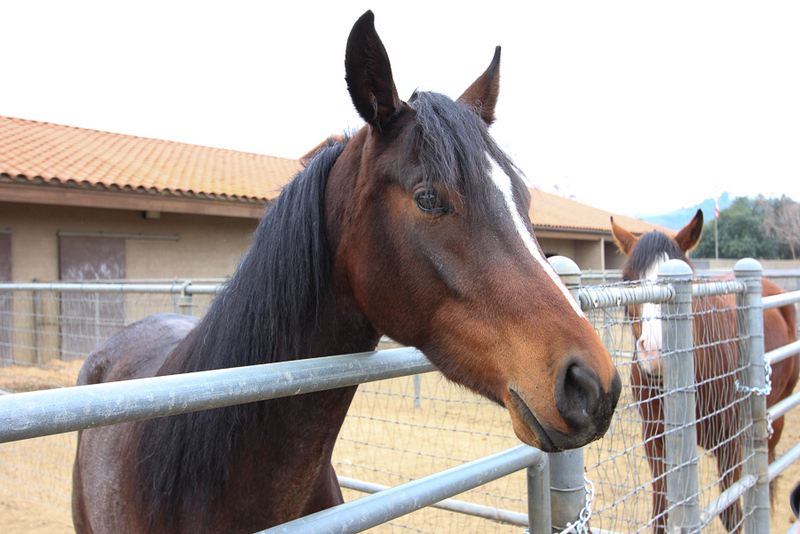 In his quest to fulfill a childhood dream, W. K. Kellogg sought out the finest Arabian bloodlines of the day to begin a breeding program at his winter home in Pomona, California. 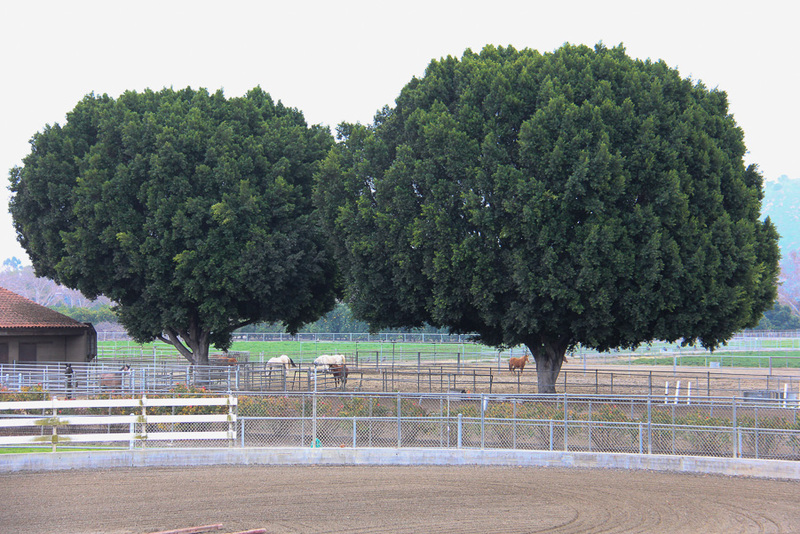 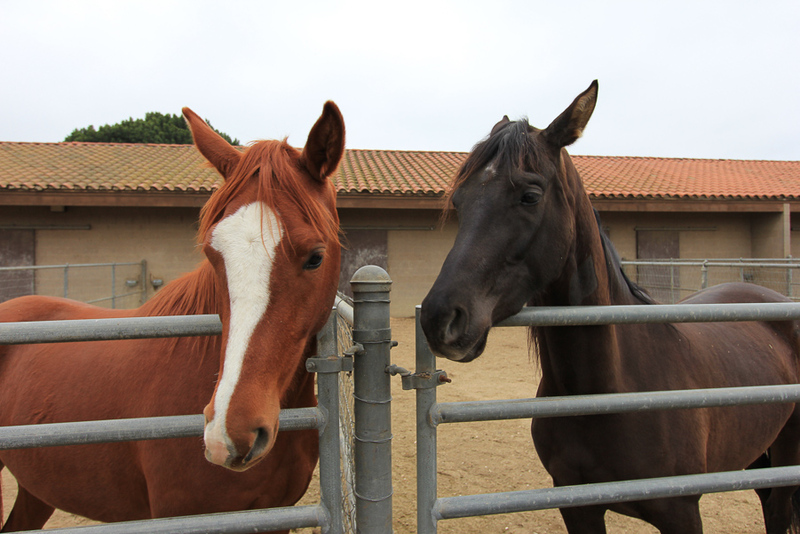 The ranch soon became a popular destination for 1920s Hollywood stars to visit rare Arabian horses, and Kellogg’s horses appeared in several films. 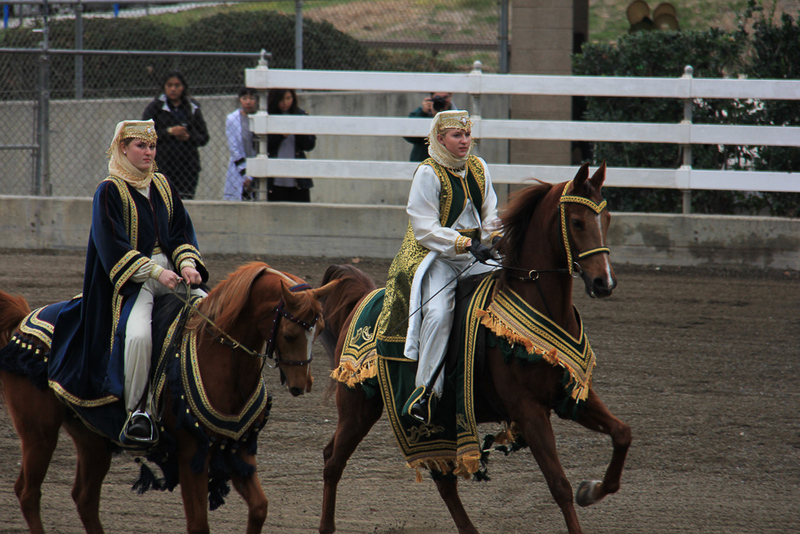 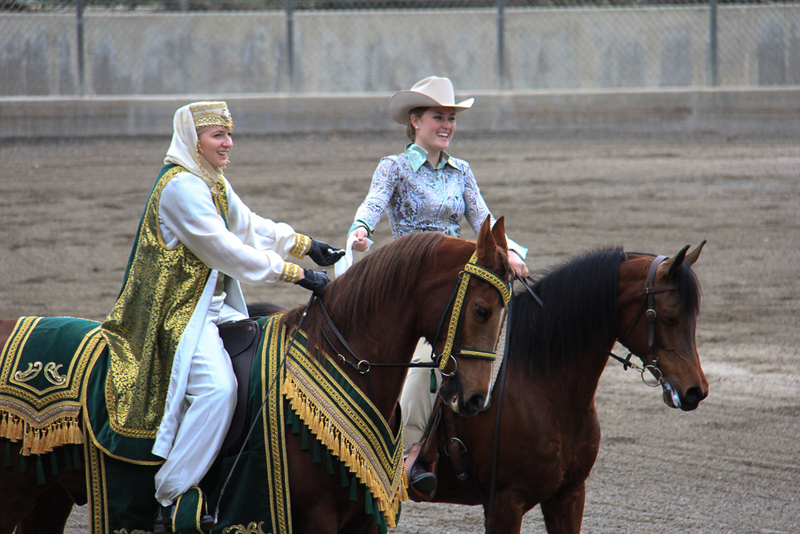 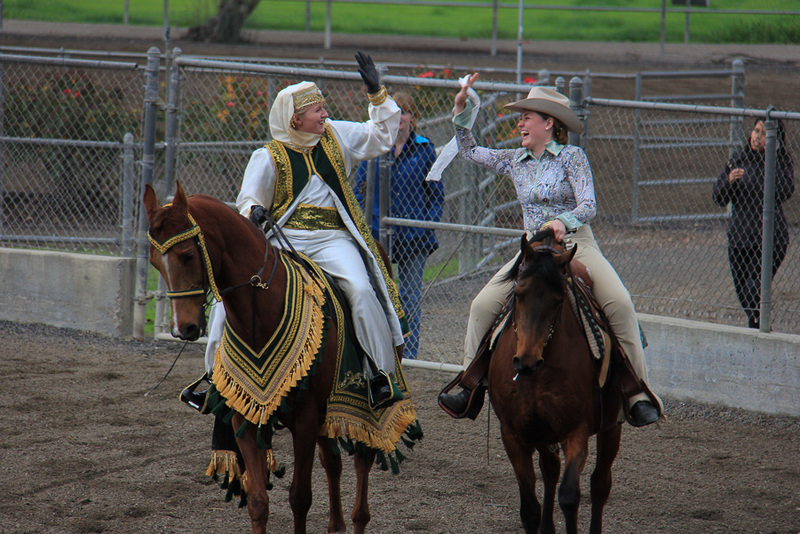 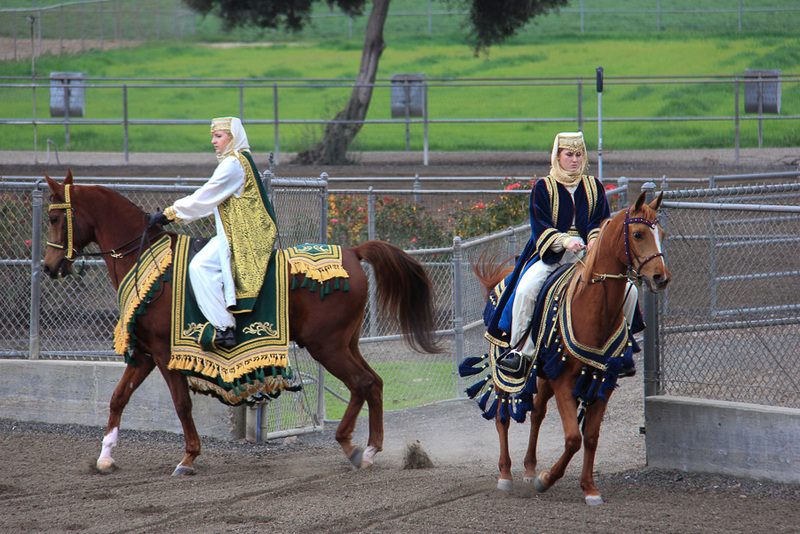 The ranch became so popular that a show was established on Sundays in order to better showcase the Arabian horses and fortunately, those shows continue today. 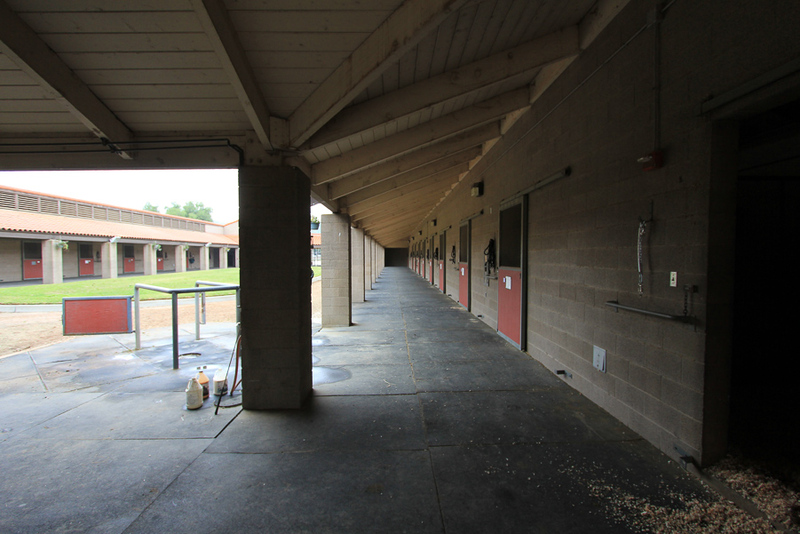 The farm is 35 acres and includes multiple barns, a breeding lab, foaling stalls and several riding areas including the Sunday Show arena. 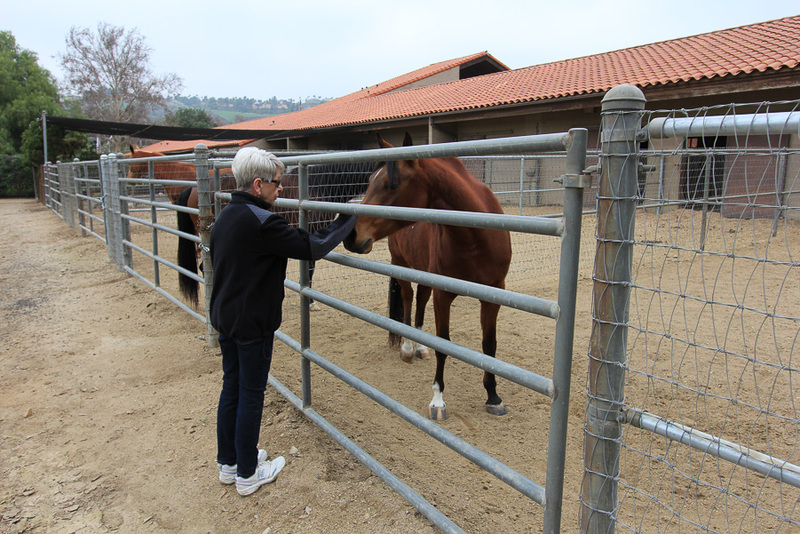 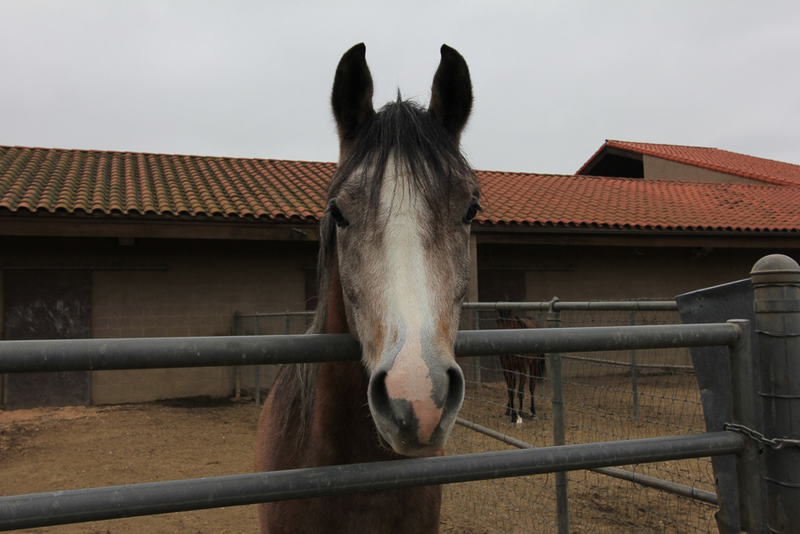 Students are involved in every aspect of caring for the horses, from feeding and cleaning stalls to breeding and training. 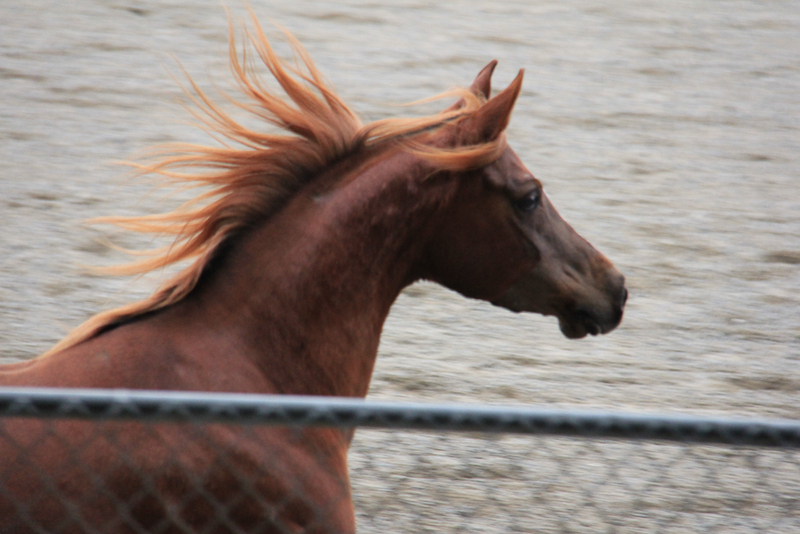 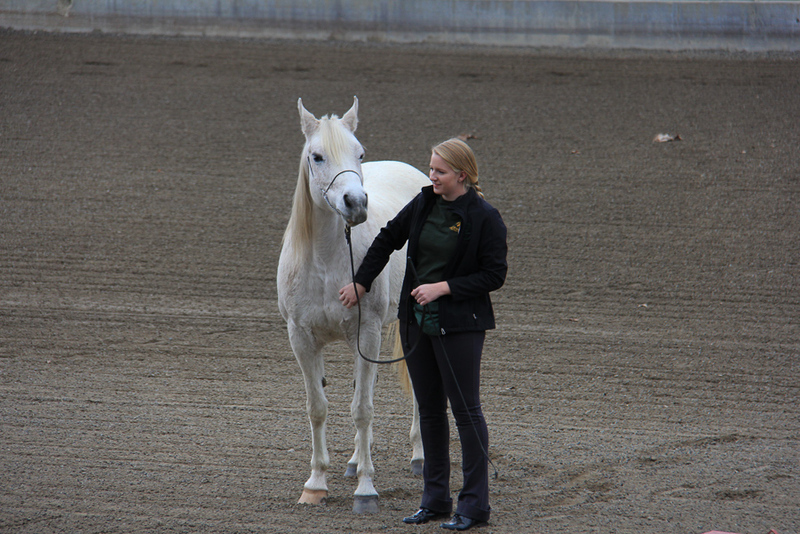 Kellogg Arabians are prized for being beautiful athletes with great temperaments. 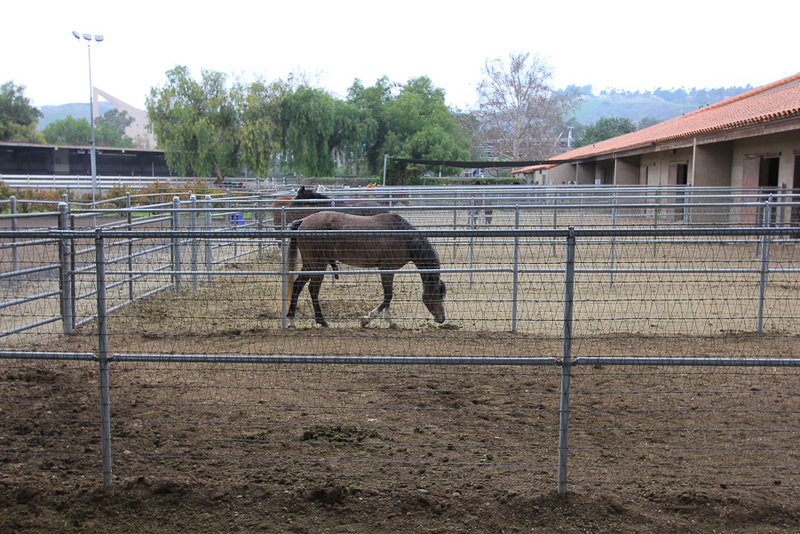 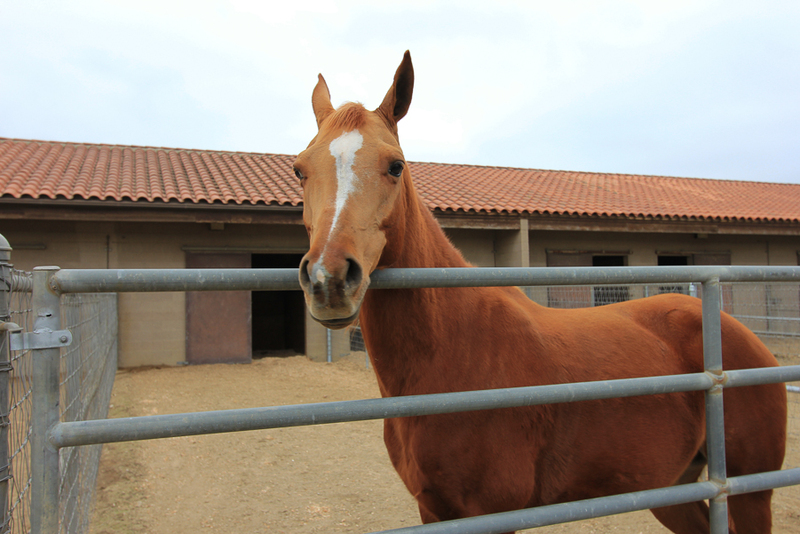 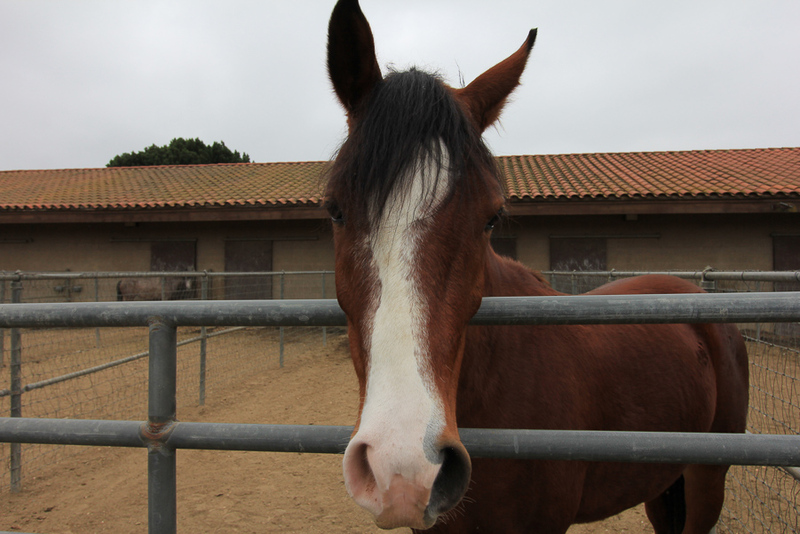 There are about 100 horses here throughout the year, all of them extremely pampered. 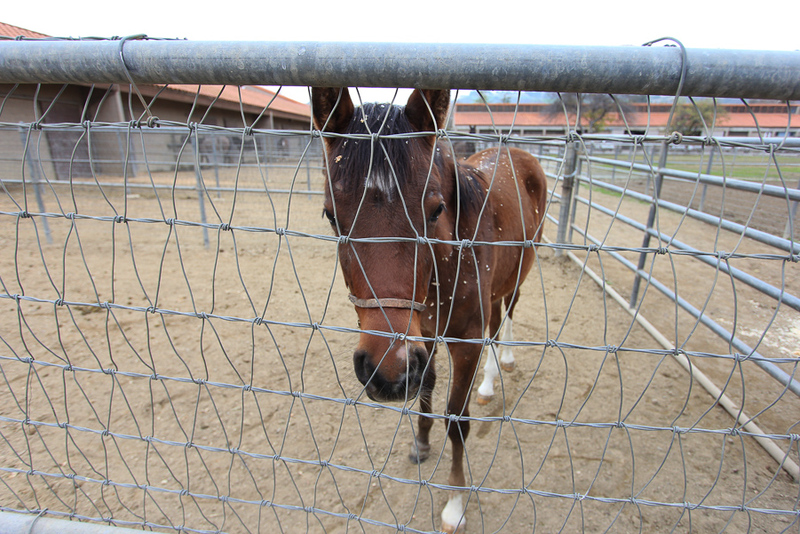 This spring they're expecting 16 foals, which is about normal. 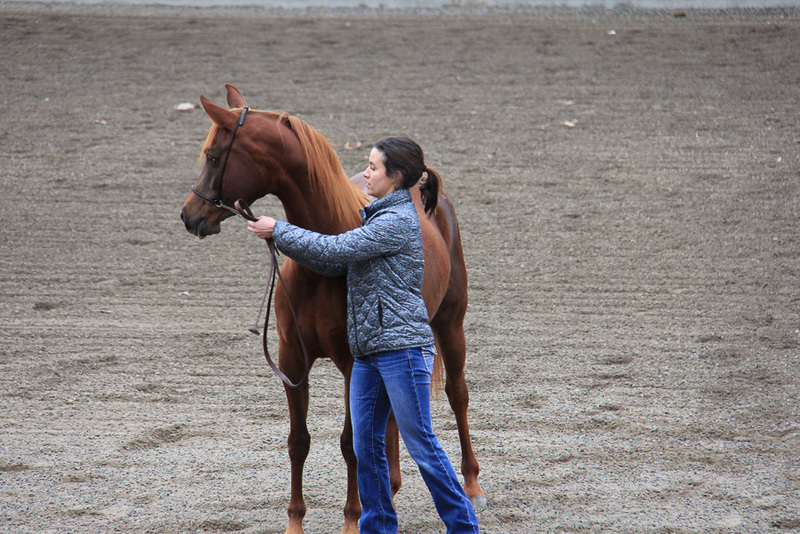 Well trained 3-year olds are offered for sale in the annual production sale in August. 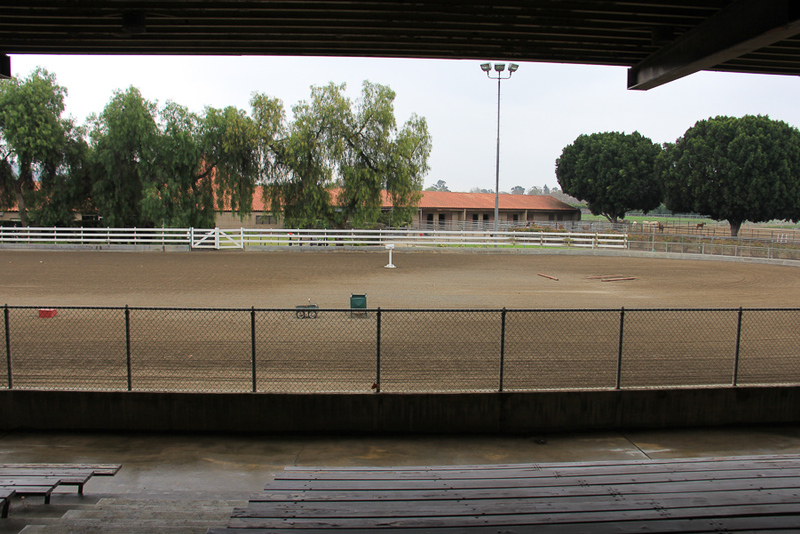 This is the Sunday Show arena. 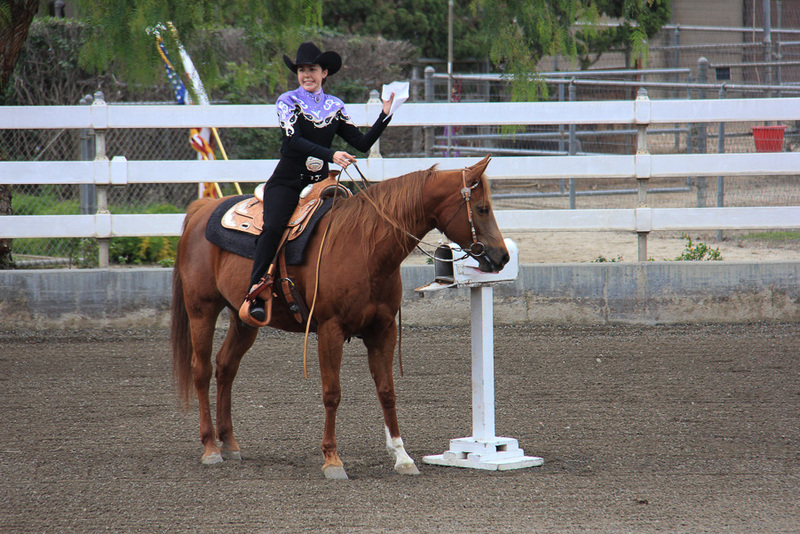 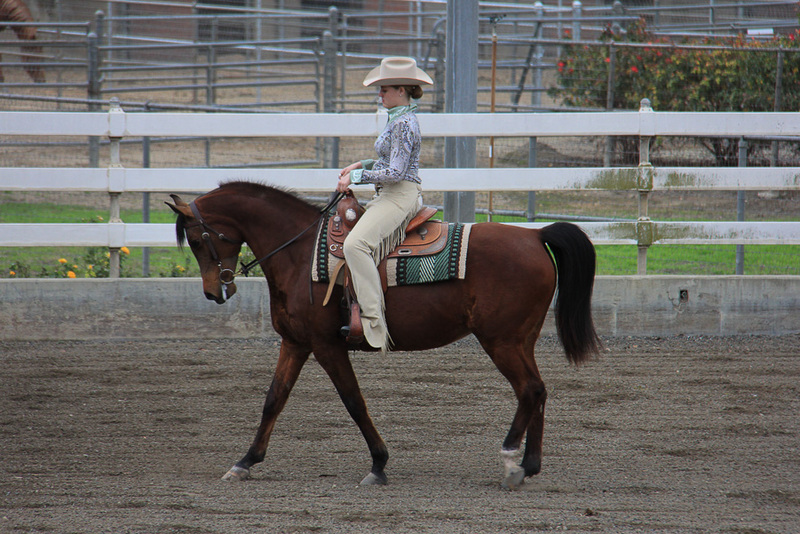 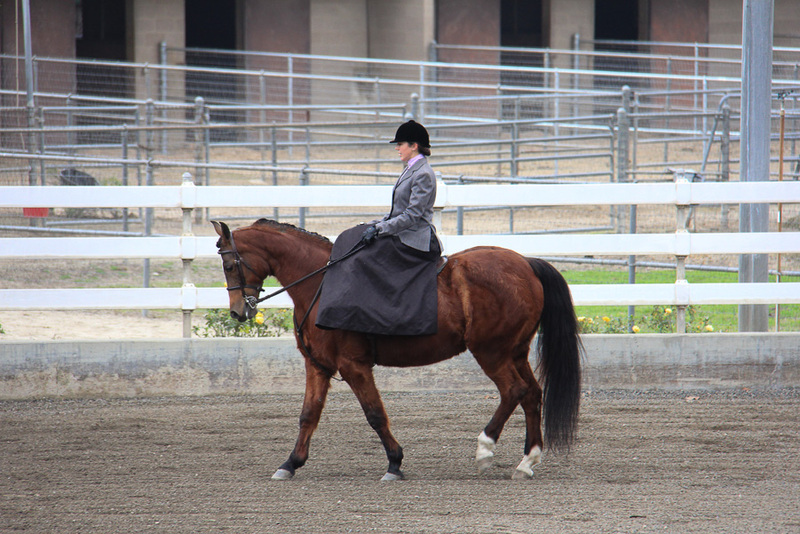 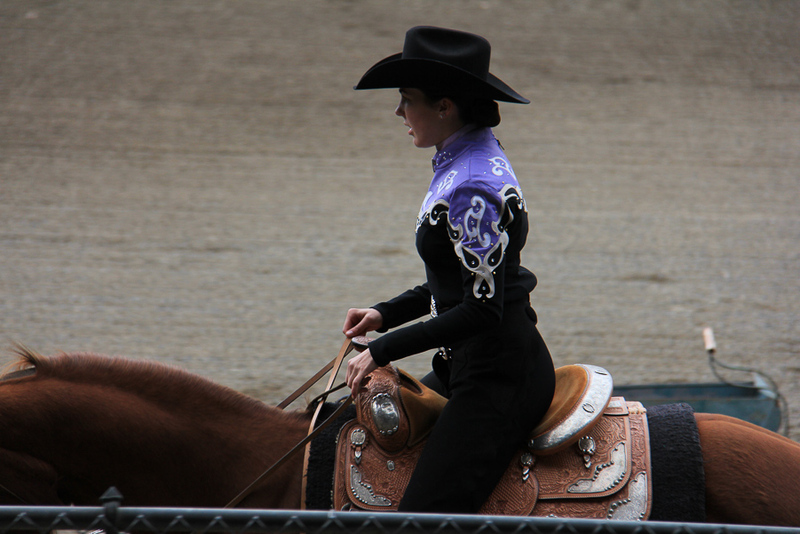 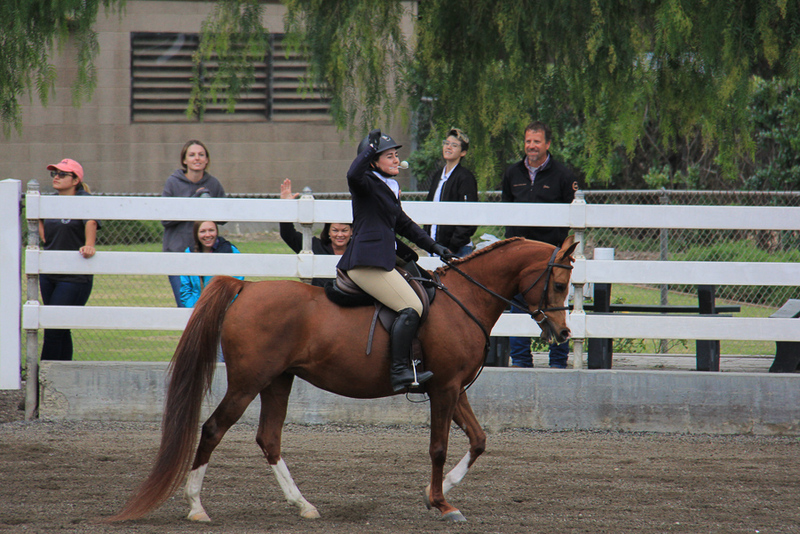 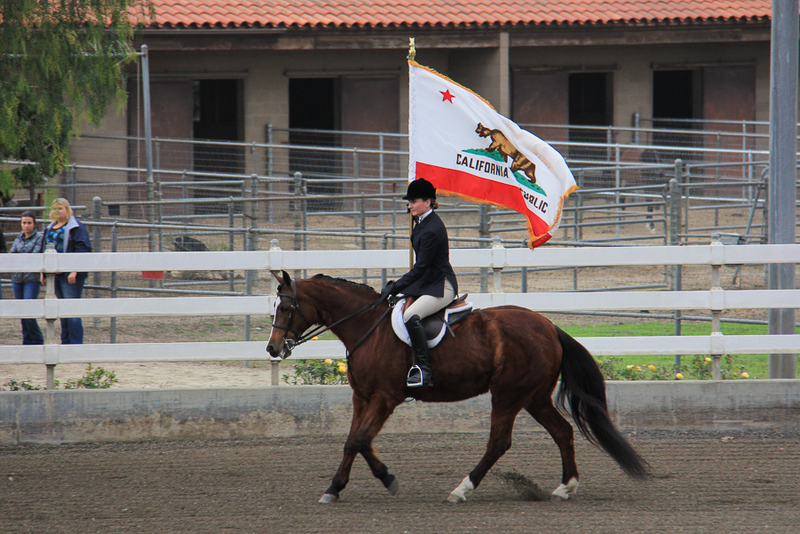 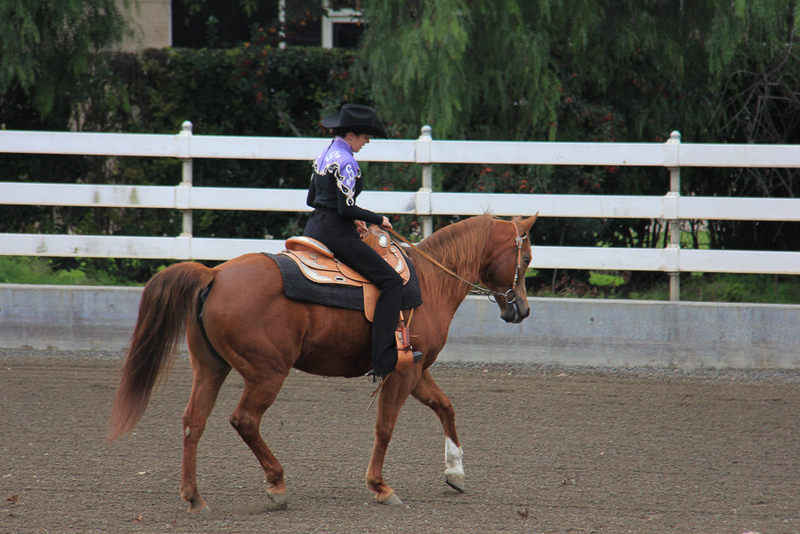 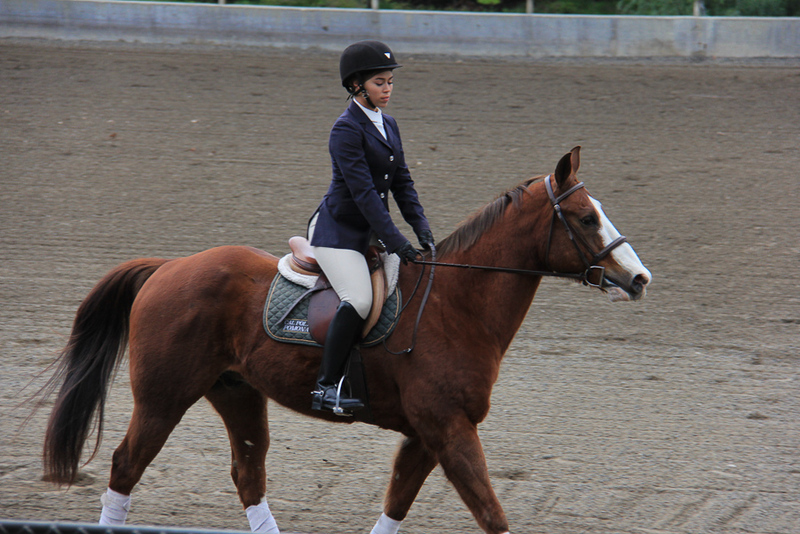 This was a side saddle demonstration. 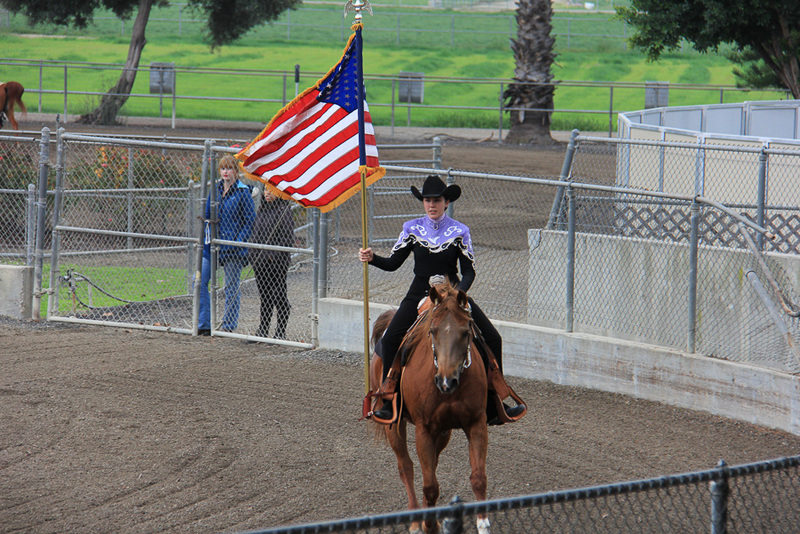 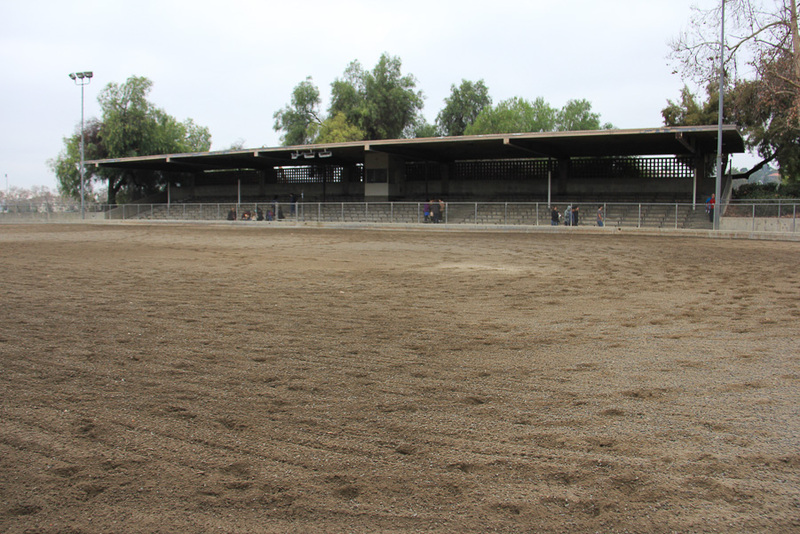 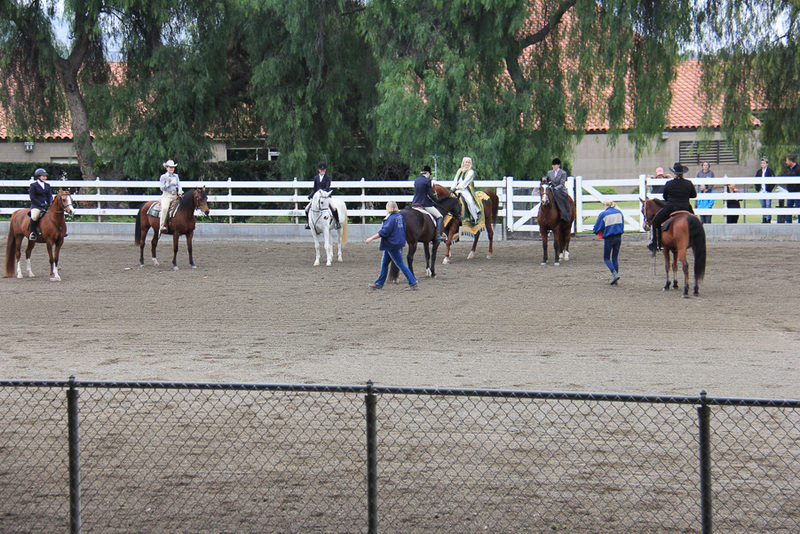 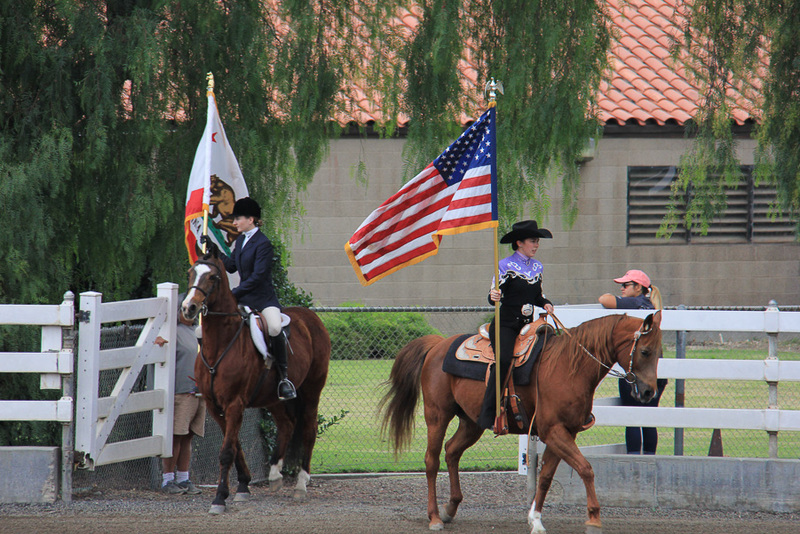 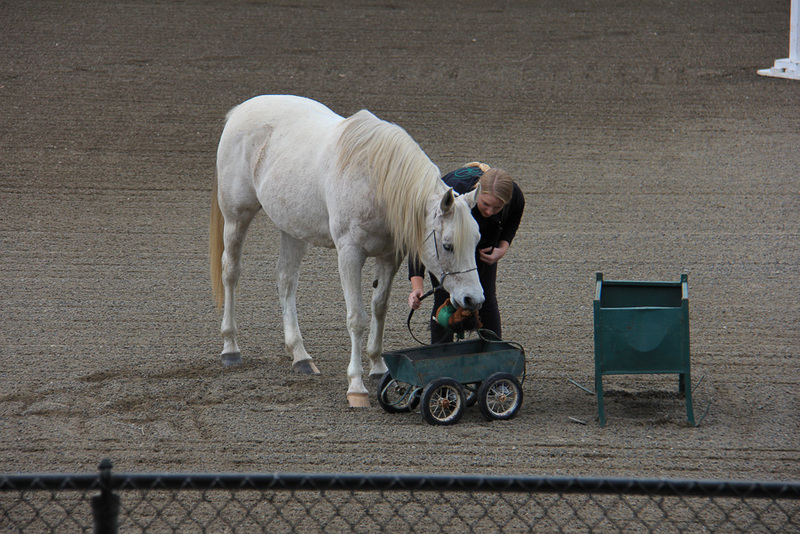 This was a competition where each rider balanced an egg on a spoon while the horses went through various gaits. 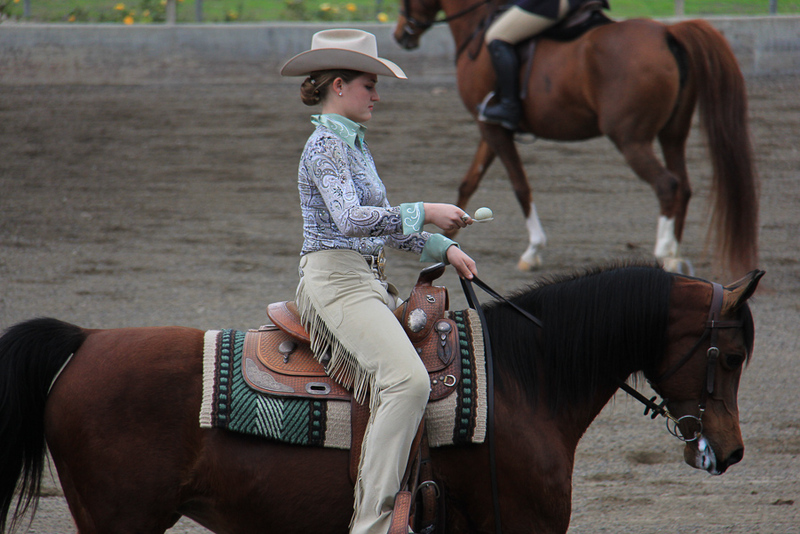 In the end, the riders had to hold the spoon in their mouth and the last rider still holding the egg "won." 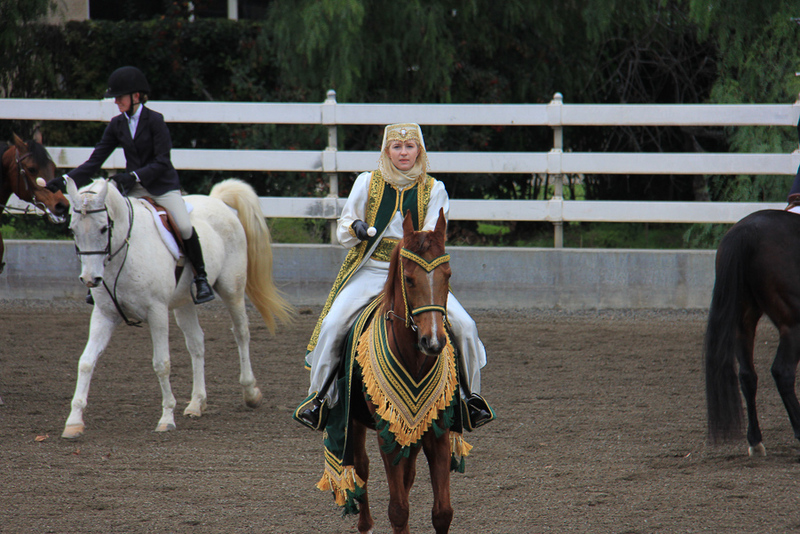 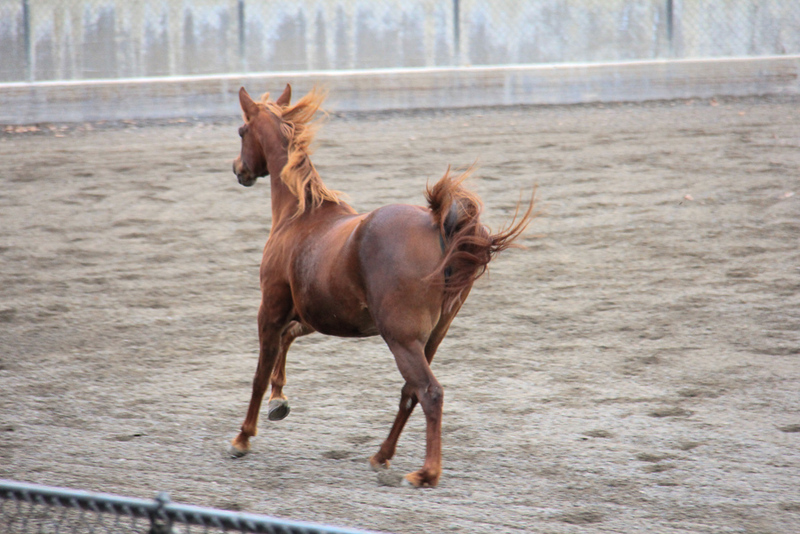 This Arabian was rider less to demonstrate his speed. 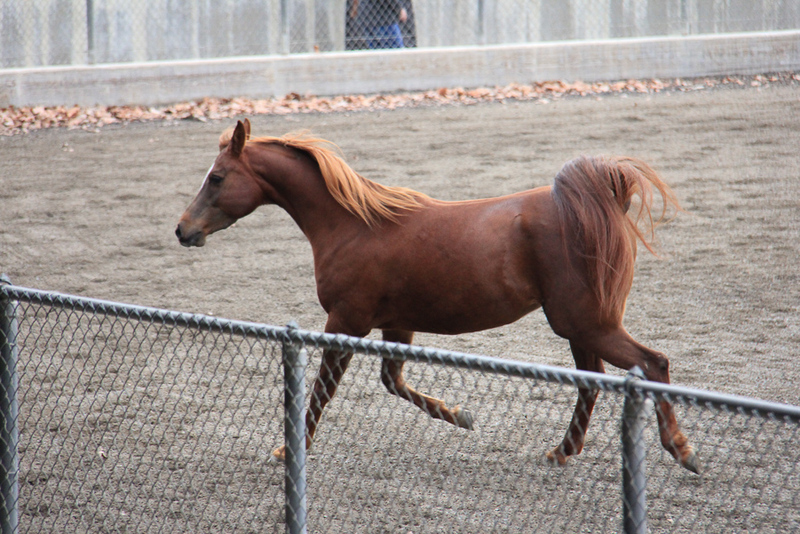 We had the opportunity to walk around the stalls to get up close and personal with these magnificent horses.